The Voopoo Drag 2 kit features the dual-18650 Drag 2 mod and the Uforce T2 sub ohm tank. The original Drag was a best seller for a bunch of reasons: it came with the very accurate GENE chip, started the whole rapid-firing craze with its 0.01 sec firing speed, and all of that at a very affordable price tag. That said, it did have its shortcomings, as even 24 mm atomizers were protruding slightly, the battery door had a bit of a play and the paint on the black version was susceptible to scratches and wear. Let’s see if and how the Drag 2 addresses these issues and how the kit performs overall. The Drag 2 is a dual-18650 mod that fires up to 177 watts. It comes only in black, but with a variety or resin color options to pick from. I received the “fire cloud” one, which, unfortunately, is my least favorite of the bunch. It still looks good, it’s just that the others look even better in my opinion. Thankfully, the white part of the large DRAG branding on the back of the mod is toned down a bit compared to the original, giving it a more discreet look. And the edges are rounded this time, making it much more pleasant to hold. The mod weighs 157 grams, around 50 grams lighter than the original Drag. The paint job feels much better too; my OG Drag has scratches all over the place, but it seems like they have fixed this issue now. The magnets of the battery door are very strong, but as with the first Drag, there is a bit of a play there. No rattle or anything like that, but you can move the door with your hand. The screen is ok; it is clear and easy to read, but black and white and relatively dim. The buttons are clicky and feel like they’ve been also upgraded since the original Drag. Atomizers with a diameter of 25 mm sit flush with the edges, but there’s a slight gap due to the lifted 510 platform. Frankly, I have no idea why they went with that design. It might take you a while to notice, but after that chances are you are going to be annoyed like I am. The menu system takes some time to get used to, but I wouldn’t call it complicated. The mod adjusts in 1-watt increments, but doesn’t accelerate and also doesn’t round-robin. It is pretty fast though. The GENE chip is known for its power mode performance and accuracy, and the Drag 2 is excellent in that regard. Temperature control, on the other hand, is meh. As with the original Drag, I found it to have excellent dry hit protection and more or less accurate temperatures overall, but a proprietary TCR numbering and, more importantly, the 80-watt limit in TC are major drawbacks. If you are thinking on using the Drag 2 for temperature control vaping with exotic coils, then you will probably be disappointed. It is fine for MTL style coils though, as you will not need the extra wattage and the default TCR works for stainless steel. The mod also features FIT mode, which comes with three presets: FIT1 (battery), FIT2 (flavor) and FIT3 (clouds). After playing with it for a while, I believe that the only thing it does is read the resistance and set the wattage accordingly, with FIT1 being low wattage, FIT2 medium and FIT3 high. Voopoo recommends using FIT mode on the Uforce tanks, but trying it on the included coils of the Uforce T2 tank I got an underwhelming vape. They also say that the mode does not apply to rebuildables; I did try it on a 0.7-ohm MTL coil, and I found that it fired significantly higher than what I would like it to. In my opinion, the mode is the definition of hit-or-miss and I found no real use for it. I love the looks of the Uforce T2, it adopts a kind of a minimal design that makes it look more “professional” than your average sub ohm tank. It is around 25 mm at its base, with the bubble glass giving it an extra 3 mm. Putting it next to the T1, I could only see some minor differences. The three airflow slots are slightly larger, and the knurling has been replaced by some carved geometrical shapes, which look much better in my opinion. On top of that, the 5 mL bubble glass looks like a really nice fit, which is something that can’t be said for all sub ohm tanks out there. Capacity falls to 3.5 mL with the straight glass on, but the tank is also compatible with the rest of the Uforce glass tanks that range from 2 to 8 mL. The tank features a push-to-fill port that’s a tad small; I had to tilt the bottle at an angle to fill it. The drip tip is 810 but the double O-rings kind, and the tank is not compatible with most Goon style 810s. I don’t understand this design choice – I have only a couple of these drip tips and tens of Goon style ones, and I am pretty sure that’s the case with many vapers out there. There is also a rebuildable coil (R1) but I think Voopoo stopped producing it as it was out of stock everywhere I checked. The airflow of the Uforce T2 is much more restricted than the three airflow slots will have you believe. Fully open it compares to the Freemax Mesh Pro with its airflow less than halfway open. For me that’s the perfect amount of airflow, but if you like a super airy direct lung draw you might want to look elsewhere. The triple-mesh coil produces really good flavor and dense vapor. Voopoo nailed the wattage recommendation, as I found it performed better when fired at around 75-80 watts. It also wicks really well, although it started to struggle a bit over 90 watts with my high-VG juice. Don’t forget to prime it before use; there is a lot of cotton between the three mesh strips and it will take a while for e-juice to reach this area if not primed properly. There was also no spitback or gurgling, and the tank didn’t leak at all even when left open overnight. The dual-parallel coil was a bit of a throwback, but it remains an excellent mid-wattage coil. Real good flavor and a solid option for using the Uforce T2 with a single-battery mod; as with the other coil, Voopoo is accurately recommending the 55-65 watt range. Outside of that, I’d stick to the triple-mesh coil as it is a better performer overall and will last you a fair bit longer. My biggest gripe with the Drag 2 mod is the gap created by the raised 510 platform, followed by the play of the battery door. If you don’t mind these inconveniences, and if you don’t plan on using TC mode in high wattages, then chances are you are going to enjoy it. It is reasonably priced, houses an accurate chip and fixes some of the problems of its best-selling predecessor. It’s not nearly as groundbreaking as the original Drag, but gets the job done. The pleasant surprise came from the Uforce T2 tank, which exceeded my expectations with its triple-mesh coil. With the kit priced only $10 higher than the mod on its own, it’s a no-brainer. What do you think of the Drag 2 kit? Let me know in the comment section. The towel bar is one of the key accessories, used in the bathrooms and toilets of the residential and commercial properties. One of the top choices in this category, the Brass Towel bar, serve utility as well as feature a classy and impressive appearance that enhances the show of the place. Paragraphs underneath shall answer a few questions that you need to raise before buying these products. Is the size of the bar suiting to the size of the place you will install it? The first and foremost important question that will come up is about the fitment of the brass towel bar within the space, wherein you will install it. For instance, if you will use the bar just above the washbasin, you will require bars of smaller sizes, compared to the size of the bar that you can install inside the bathrooms. Fortunately, the market has the availability of these bars in various sizes and hence, finding the most suitable option would not be a daunting task. Do the design and shade of the bars complementing the design and the color of the walls? No matter you are installing the brass towel bar in the bathroom, urinal or over the washbasin, you should select the color and design in a style that it suits and complements the design and colors of the walls on which the bars are being installed. The suitable pairing will enhance the show of the place manifold. Another question that you need to ask the provider while buying the brass towel bar is about the possibilities of replacement and guarantee. Usually, the top providers offer standard length warranty on the purchase of these products. Hence, in instances of buying these products, you should always prioritize on the products from the top brands that comes with assured qualitative standing and within the most reasonable rates. ijoy capo 216 srda kit contains iJoy Capo 216 Squonk Box Mod and Combo SRDA. It is the smallest dual 20700 squonker kit measured 45mm by 51mm by 83mm. It is a new squonker kit powered by two 20700 batteries(not included) or 18650 batteries(with 18650 adapter). The maximum output power reached up to 216W. 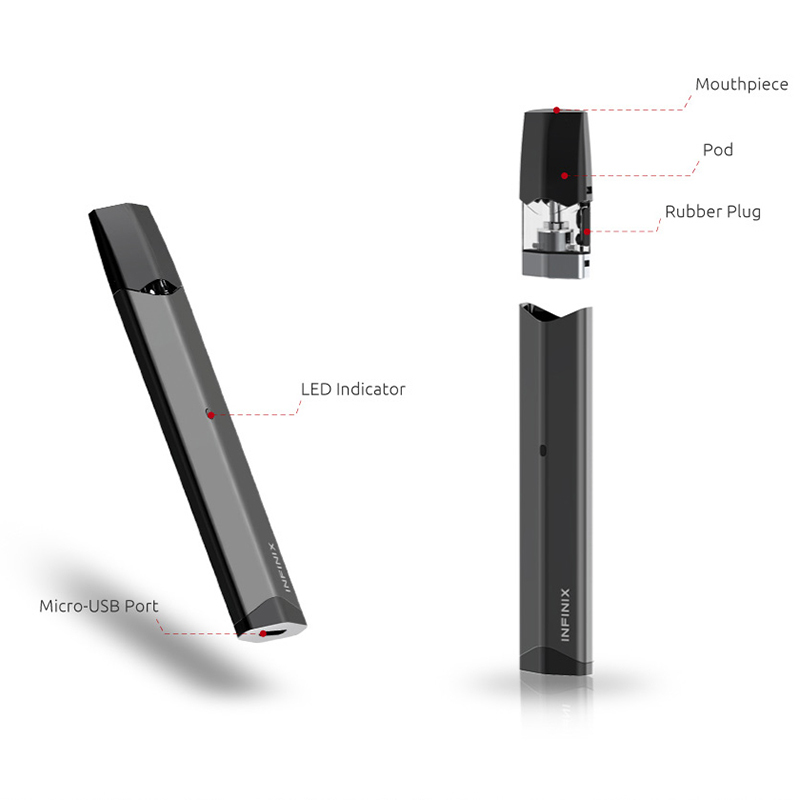 The IJOY Capo 216 srda Mod features a large OLED display screen which shows data and information clearly. There is a big fire button in the back side making handling comfortable. The battery door snap-kit design make squonk bottle assembly and disassembly easily. The stylish regulated ijoy capo 216 srda kit will bring you great vaping experience. 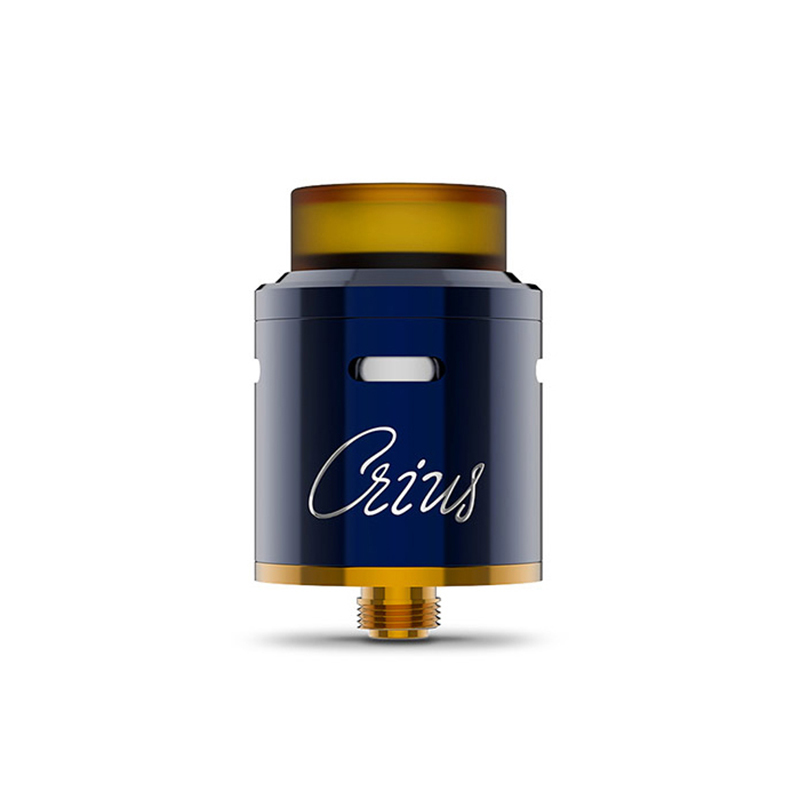 The Combo SRDA Tank in the kit with diameter 25mm features side airflow control which provides large vapors. Changing pre-installed coil and rebuildable deck in no time can be achieved by semi-rebuildable system. SRDA fits the squonk mod with BF Pin. For more information about ijoy capo 216 srda kit please check Urvapin. A 14% discount and free shipping worldwide are available. Please feel free to contact us. We will reply as soon as possible. This First Look is devoted to a new box mod from the Chinese company Smoant called Battlestar Mini. At one time, the Battlestar boxer from Smoant made a lot of noise at the time of its release. Probably, only the lazy did not throw a stone in the garden of the producer in connection with the similarity of the device to everything known “Ryksu 2/3”. Indeed, the fact of copying was evident, however, Battlestar was still an independent device, although he repeated some elements of boxman design from Wismec. After a fairly long period of time, the Chinese from Smoant introduced a younger version and named it Smoant Battlestar Mini. Actually, it will be discussed today. The novelty almost completely repeats the appearance of its ancestor. It is interesting that the manufacturer chose the same yellow color that many users liked in Battlestar 200W for their new device. Yeah, it looks pretty cute. In addition to the bright yellow color solution, the Battlestar Mini is also available in classic black. It seems that the most popular version will still be the yellow version, and in time other interesting colors will appear. By the way, this time the guys from Smoant were inspired, apparently, by the boxer of eVic VTC Mini from Joyetech. In any case, the front panel of our today’s novelty looks suspiciously familiar. Smoant Battlestar Mini Mod has very modest dimensions, but it is quite capable of accommodating atomizers with a diameter of up to 24mm. At least, so says the company-manufacturer. The maximum output power of 80W, of course, should be enough for the average vaaper, but the device will not last long in this mode. The device operates from a single 18650 battery, which supplies the firm’s payment from the company Smoant. The built-in chip has many different functions that meet all modern requirements. Temperature control, TCR, VW and Bypass mode as usual on site. Particular pride in the manufacturer is a large OLED-display with a diagonal of 0.96 inches. Today We will tell about the next creation of the company IJOY, working on new battery formats. And the novelty ELITE PS2170 KIT is called. A well-known to many company IJOY continues to exploit the high-tech theme of new formats of power elements for wipe devices. I must say that other manufacturers are similarly trying to keep up with the release of a variety of devices powered by 20700 or 21700 batteries. Nevertheless, IJOY can be considered one of the pioneers in this field, because it was their Captain PD270 that was extremely successful. In the same article, we will get acquainted with the new boxmode from the above-mentioned office, which was named ELITE PS2170 KIT. IJOY ELITE PS2170 KIT by tradition of the company IJOY received an extensive color line, consisting of seven different colors. In the set, in addition to the boxman itself, there is also a maintenance-free tank Captain Mini, about whose older brother we already somehow spoke. Boxmod is a classic example of a device for a single battery, of which there is enough in the market of veiling. However, the ELITE PS2170 is still somewhat different. Of the design features of the novelty can be noted, perhaps, a fairly large and potentially convenient Fire button. The rest of the controls are located in their usual places. Inside the ELITE PS2170 is a proprietary motherboard from the manufacturer, capable of giving out up to 100W. In addition, there are all the necessary (or not) functions like temperature control. TCR mode is also in place. The novelty was able to charge the battery inside, which is logical for such a device. IJOY did not forget to give its product and the ability to update the firmware. SMOK is the king of catchphrases! And with the sheer speed at which they are producing almost identical products, their key catchphrase is often the only way to tell them apart.SMOK Stick X8 is one of the best vape pens we tested in 2017. It delivers amazing clouds and flavor and the battery packs enough power to last you a full day. In an industry flooded with pen-style vape devices, Smok stands tallest with the newest from the highly popular Stick line: the Smok Stick X8 Vape Starter Kit. This incredible new cylindrical vape pen provides a durable and long lasting solution to bulky vape devices. The Smok X8 Pen kit features the Smok X-V8 Baby Brother tank with smooth top airflow and 4mL of vape juice capacity designed to deliver a satisfying draw every time. Filling your e-liquid has never been easier with an easy top fill port with a enduring hinge system. The Smok X-V8 Baby Brother tank is fueled by the X-Baby replacement coil line that boast amazing flavor quality along with impressive cloud production despite its smaller stature. 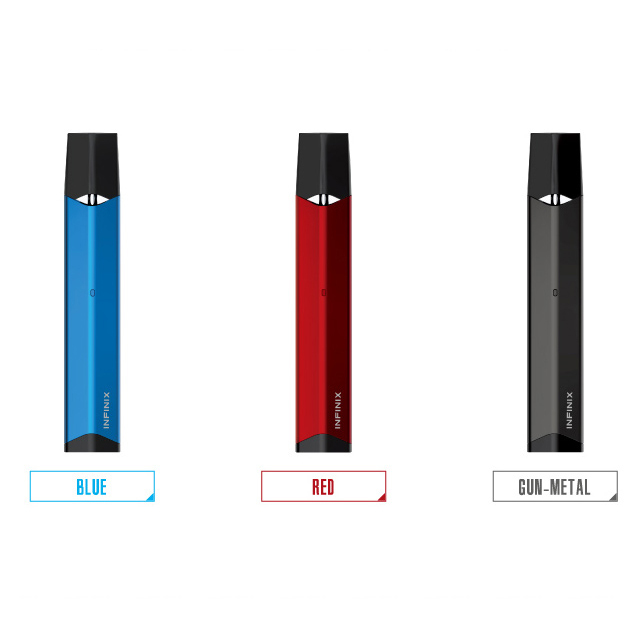 Additionally, the Smok Stick X8 kit is supported by a 3000mAh internal battery pen that will stretch your vaping sessions out longer for the perfect all day vape. Be sure to get your Smok Stick X8 Vape Starter kit right now! Announcements just do not keep up with brave guys from the company SMOK! As with a machine gun, the Chinese are riveting devices! But this is not just another transfigured atomizer, the production of which has become serial (although it has also been inherited here), but something more interesting – the whole kit – the SMOK MAG Kit! And what a kit! The Smok company is already quite an experienced player in the wake market, whose business card has become the famous and probably the most popular maintenance-free tanks. This time, this developer was born a boxmode, or rather, it was difficult to name BOKSMOD, because this is not the usual “box”, but a device with an unusual form factor. So, I bring to your attention Smok Mag Kit. Let’s consider together the fresh product SMOK Mag Kit and try to lay down a preliminary impression about its prospects in the market space. The device is presented in 9 bright colors, and if in this case the company does not cunning, and the palette will correspond to the real perception, then I’m impressed!